Leading online bookmaker, Betway, have been announced as sponsors of Musselburgh Racecourse’s prestigious New Year’s Day race day. The key fixture in the East Lothian track’s jumps season attracts a crowd of 5000 racegoers and two races are broadcast live as part of ITV’s festive racing package which is anchored from Cheltenham. Betway, which has invested a significant five figure sum, will have naming and branding rights to the January 1 meeting and branding opportunities at two other Musselburgh fixtures on January 7 and 18. The New Year’s Day meeting pulls in Musselburgh’s second biggest crowd of the year, behind only the sell-out Stobo Castle Ladies Day held in June, and is a popular destination for local residents and festive visitors looking for a novel way to celebrate the first day of the year. Feature races on the day, both valued at £30,000, are The Betway Auld Reekie Steeple Chase and The Betway Hogmaneigh Hurdle, while the finals of the 150th New Year Sprint, the world’s oldest athletics handicapped race, are held between racing. 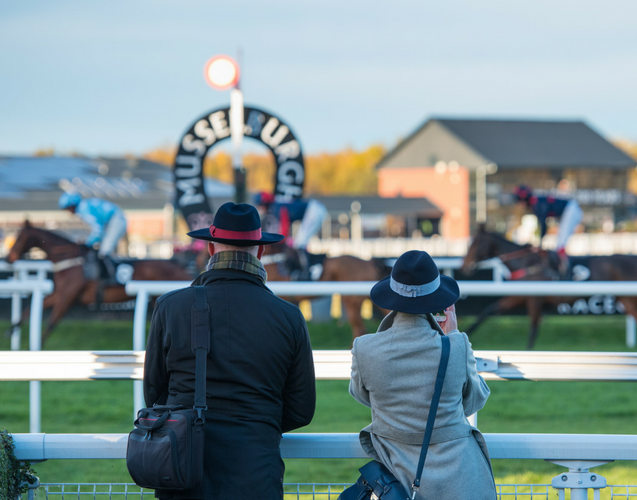 Musselburgh Racecourse’s senior operations and commercial manager, Sarah Montgomery, said: “Our New Year’s Day meeting grows year-on-year and is now established as an important fixture in the UK racing calendar. We are delighted to secure the support of leading industry brand Betway and look forward to establishing a long-term mutually beneficial relationship. “We have made significant investment in recent years to improve the raceday experience by introducing luxury marquees, top class entertainment and high quality locally sourced food and drinks suppliers, which all contributes to making New Year at Musselburgh an unforgettable way to welcome in the year. Betway’s Alan Alger said: “With racing sponsorships already in place across England and in Ireland, we’re delighted to now be expanding into Scotland.